California | Cordblood banking - Secrets of stem cell technology revealed! Steve Grant is a NYC native who is also the executive president and co-founder of Cord Blood Registry (CBR) in San Bruno, California. He and his wife, Wendy, have four children and all their cord are stored in the bank. This statement has been agreed by CBR’s spokeswoman – Kathy Engle. 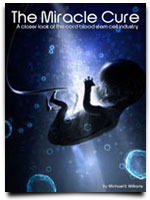 Engle knows the hardships of storing over 375,000 samples of cord blood. The responsibility is big, she admits, and the expectations are high. As the largest facility in the world, the company wishes to convince more moms to trust them in the preservation of their newborn’s cord blood. CBR is fully-aware that banking cord blood is expensive. There’s a one-time fee of $2,665 for storage and its annual storage fee cost $250. The first few months will be the adjustment period and the hardest. However, one can realize the real benefits of storing when one has learned that stem cells in cord blood is a good replacement for bone marrow in a transplant. The stem cells cure life-threatening diseases like cancers, diabetes and cerebral palsy. The decision to bank a cord blood is a big risk. Just this summer, Crystal Prince wondered why BioBancUSA (a cord blood bank in Monterrey California) was not answering her phone calls and e-mails. She was very worried and no one to turn to but to ask for help from the media. Crystal along with an investigative reporter from KTVT traveled 1600 miles just to get to Monterrey. Arriving at the place, they just found out all their assumptions were true. The place was abandoned and there was nothing in there but a sign taken down from a wall. Robert Hayner is the owner of BioBancUSA and it is confirmed he filed for bankruptcy early this year and owes a total of $10 million. The cord blood bank has failed to monitor its samples since then but still asking for fees to their subscribers. The Department of Health also admitted the company operated without a medical director since October this year. Even the Food & Drug Administration (FDA) had not checked BioBancUSA for two years. Right before the filing for bankruptcy, the FDA already shut down at least two cord blood banks. Crystal’s story must serve as a guide to every pregnant mom out there. Researching for a cord blood bank is your first priority before deciding to store. A cord blood bank must be certified and its storage facilities are regularly updated and well-maintained. If possible, the company must offer stem cell therapy. If this option is not offered, the company does not provide enough for the price their clients pay. Lastly, the company must be tied with a big hospital to ensure the cord blood cells are immediately delivered in the cord blood bank. San Diego is a tremendously diverse area. With several large military bases and a collection of internationally know research hospitals, San Diego can also parley its proximity to Los Angeles into a wide network of cord blood donation centers. The San Diego Blood Bank is the largest of all the cord blood donation centers. 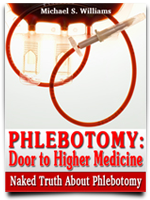 Parents wanting to privately store their child’s cord blood should consult with their OB and the delivering hospital. In December 1950, the San Diego Blood Bank was established through the support of the San Diego County Medical Society. 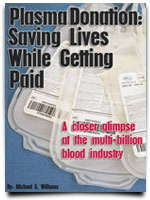 Throughout the years, the San Diego Blood Bank has stayed in the forefront of transfusion medicine, added donor centers and bloodmobiles to cover all of the region’s neighborhoods, diversified the blood bank’s donor base and formed lasting partnerships with organizations from all over the San Diego community. An independent blood center serving some 50 hospitals in the Southern California Region, the San Diego Blood Bank is a member of America’s Blood Centers, the American Association of Blood Banks, and the Greater San Diego Chamber of Commerce.